What do Australians really think of homeless people? Four in 10 Australians think that homeless people are ‘lazy freeloaders’, ‘stupid failures’ or ‘not working hard enough’. How many facts do you really know about people who don't have a place to call home? Today, more than 100,000 Australians are currently homeless and exist day-to-day without a permanent home. In major cities, such as Melbourne, the number of rough sleepers on the city’s streets has increased by almost 75 per cent in the past two years. These statistics are significant. But, does anyone really care about the plight of the homeless? According to a 2015 Salvation Army Poll, four in 10 Australians think that the homeless are ‘lazy freeloaders’, ‘stupid failures’ or ‘not working hard enough’. These might seem like easy conclusions to those of us who have never experienced the plight of being homeless and the devastating repercussions. 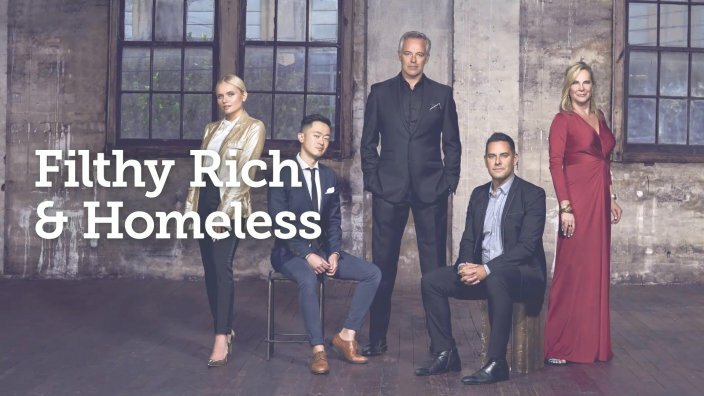 “If I was homeless every piece of money I’d make, I’d try and find a job, buy some nice clothes, do something to get myself off there” is one conclusion offered by 'Filthy Rich and Homeless' participant, Kayla Fenech, at the outset of appearing on a new TV series exploring the issue. Her comments reveal a broad but common misconception that finding a way out of homelessness is just a matter of simply trying harder. When describing a typical client, Kerri-Anne Williams, who works at two critical support services through St Vincent De Paul, tells SBS that these kind of negative opinions couldn’t be farther from the truth. This compounded trauma can impact some in worse ways than others. Around half of all rough sleepers in Australia are dependent on drugs and/or alcohol, but two-thirds develop these habits after becoming homeless. Lack of affordable housing is a major factor driving the rise in homelessness, says Adam Robinson, CEO of StreetSmart – an organisation committed to taking action against homelessness. “In Australia finding affordable housing is a huge challenge,” says Robinson. "Where does a young person who hasn’t any family support go to live? Where do women and children fleeing domestic violence go?" When looking for short-term accommodation the situation is just as dire, with emergency services stretched beyond capacity. With one-in-three Australians saying that they would not give food, money or drink to a homeless person on the street – what then, should we be doing to help? Williams says the reality is a lot closer to home than we might think. “In my work, I see women who have been in 30-40 year relationships, have kids, lived in suburbia, and so - it could be your neighbour, or the person that you have done the school drop offs with or see at the shops every day. Love the story? Follow the author here: Facebook, Instagram. "I give them a free haircut, I buy them a bread roll or a cappuccino. Because when they're down in the gutter, you don't kick them. You try to give them a hand to lift them up." Not only is it cheaper to provide permanent supportive housing to the homeless, new costings show, but the improvement to their lives is immeasurable. Healthcare workers at Katherine Hospital are trying to address homelessness rates by taking a socially-focused and compassionate approach to medicine. These striking images could inspire understanding, compassion - and social change.